The Montachusett Veterans Outreach Center food pantry, located at 268 Central Street Gardner, MA, supports veterans and surviving family members/ dependents. The food pantry is a need-based program that benefits as many as 200 families throughout North Central Massachusetts on a monthly basis. 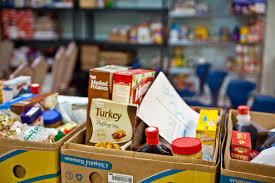 The MVOC food pantry is overseen by a professional staff manager, who is assisted by volunteers.